SAN JOSE, CA -- (Marketwired) -- 10/20/16 -- Align Technology, Inc.(NASDAQ: ALGN) today announced new software upgrades for its market leading iTero® Element™ intraoral scanner and Invisalign® Outcome Simulator. The iTero Element scanner delivers scanning accuracy, reliability, speed and ease of use with restorative and orthodontic software options. 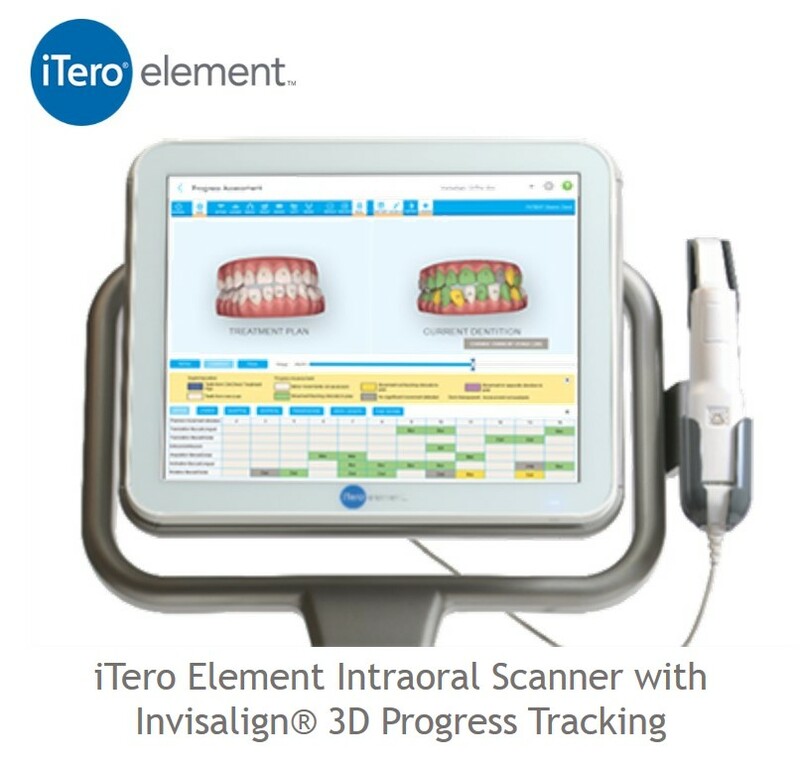 Unlike third party scanners validated for Invisalign case submission, only iTero scanners provide an optimized Invisalign scanning and treatment experience that includes the enhanced Invisalign Outcome Simulator 4.0 application now with Invisalign 3D Progress Tracking and Patient Simulation Sharing. Additionally, the iTero Element 1.4 software upgrade includes color scanning, restorative pre-treatment scanning, and optimized orthodontic scanning. "Doctors will now have the ability to easily assess their patients' Invisalign treatment progress at any ClinCheck® stage with the iTero Element scanner and can accelerate or decelerate aligner wear at any time during treatment," said Raphael Pascaud, Align Technology CMO. "Only the iTero Element scanner can deliver orthodontic and restorative treatment solutions, simplified clinical workflows, the Invisalign Outcome Simulator software application and specific patient-focused tools." "The ability to monitor and get detailed progress information of my patients' Invisalign treatment with iTero Element, makes the Invisalign Outcome Simulator an invaluable and game-changing application for any Invisalign practice," said Dr. David Galler, an Invisalign Top 1% Provider practicing in New York, New York. "The capabilities and integration of the iTero Element scanner makes it by far the best in the industry." 3D Progress Tracking - Ability to compare a patient's new scan with a specific stage of their ClinCheck treatment plan to visually assess and communicate Invisalign treatment progress with an easy to read, color-coded tooth movement report that allows the doctor to know how each tooth is tracking. Patient Simulation Sharing - Ability to easily share the patient's 3D simulated Invisalign treatment outcome through a protected patient portal which can be viewed on smartphones, tablets and computers. Color Scanning - Real-time scan in color in both scan and view mode to make it easier to visually distinguish between gingival and tooth structure for a more comprehensive clinical evaluation while scanning. Restorative Pre-treatment Scanning - Allows transfer of natural dentition or temporary restoration anatomy along with the prepared tooth to the lab for exact replication to the final restorative. Optimized Orthodontic Scanning - Real-time scan feedback during the scan process to capture missing scan data prior to processing, facilitating high quality scans to be utilized for fabrication of traditional orthodontic appliances. For more information, please visit the Invisalign and iTero booth #2663 during the American Dental Association (ADA) Annual Meeting or request a demo with an iTero sales representative at www.itero.com.